Algorithm selection and configuration is a challenging problem in the continuous optimization domain. An approach to tackle this problem is to develop a model that links landscape analysis measures and algorithm parameters to performance. This model can be then used to predict algorithm performance when a new optimization problem is presented. In this paper, we investigate the use of a machine learning framework to build such a model. We demonstrate the effectiveness of our technique using CMA-ES as a representative algorithm and a feed-forward backpropagation neural network as the learning strategy. Our experimental results show that we can build sufficiently accurate predictions of an algorithm’s expected performance. 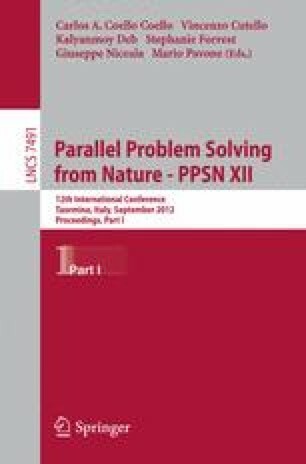 This information is used to rank the algorithm parameter settings based on the current problem instance, hence increasing the probability of selecting the best configuration for a new problem. This work has been partially funded through a 2012-2013 DAAD/Go8 Grant.